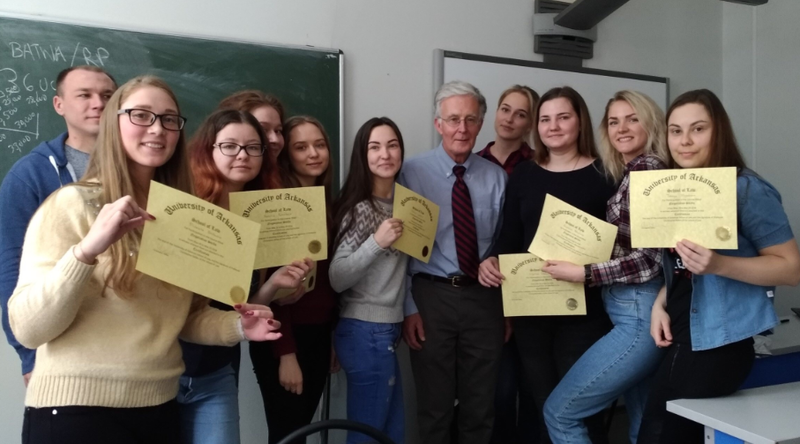 In May 2018, Christopher Kelley, the U.S. Fulbright Scholar Program alum of 2005 and 2011 and professor of the Faculty of Law at the University of Arkansas in Fayetville, visited the Syktyvkar State University (SSU). On May 28-29th, Professor Kelley held a two-day interdisciplinary seminar on "Challenges of Effective Negotiation". Working language of the event was English. Fifty SSU students attended the seminar. Professor Kelley introduced students to the basic concepts, principles and strategies of negotiations. Practical part of the course centered on case studies. Divided into two groups, students were provided with information about the conditions of certain negotiations and the expected results. Throughout a heated discussion, the negotiators learned to listen carefully to each other, ask the right questions and master the art of persuasion. After each meeting, students and the professor analyzed the agreements they reached. As noted by the seminar participants, this course is very relevant and has a high practical significance, as we negotiate on a daily basis: communicating with colleagues or superiors, making purchases or transactions in the service sector. Properly structured negotiations are the key to success in the modern world. Upon completing the seminar, all participants received certificates of the University of Arkansas. 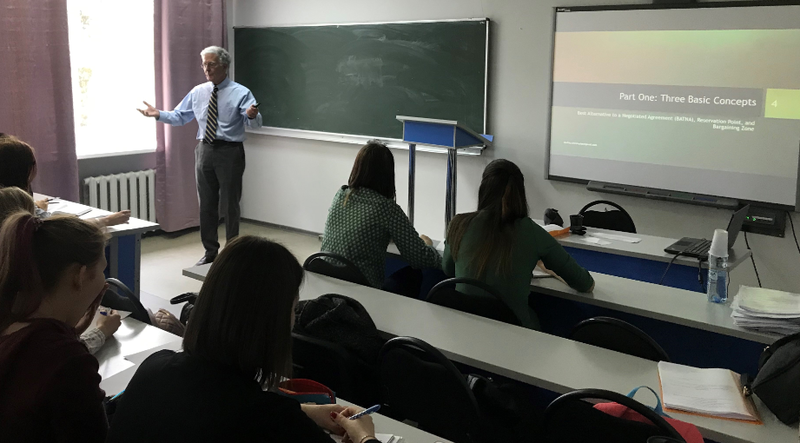 On May 30th, Professor Kelley held another seminar - "Creation and Use of Distance Courses in the Educational Process", attended by the faculty of not only SSU but also from Syktyvkar Forest Institute and Syktyvkar Humanitarian and Pedagogical College. The professor spoke about the progress of distance learning in the U.S. universities, shared his experience in developing and implementing of distance courses, introduced Russian teachers to synchronous and asynchronous courses, the possibilities of using professional equipment for distance learning. The seminar participants also discussed advantages and disadvantages of using various educational platforms for distance courses creation. This is the second year in a row when Professor Kelley visited the SSU with his educational seminars. In the future, SSU is planning to establish a cooperation in the field of joint scientific events organization, training courses development and grant-related activities. Text and photos by Yuri Dubro, alum of the Fullbright FFDP Program 2016-2017.